Though the concept of GPS technology may not be new to you, there are continuous advancements being made. These additions to tracking technology are truly changing the fleet management industry, providing unprecendeted control over your vehicles and assets. 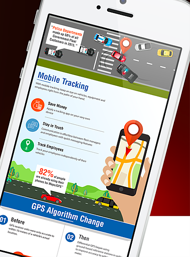 View this infographic to take a quick look at 5 key pieces of GPS tracking technology and learn how each piece can provide better productivity and profitability for your business.